Square Enix will be bringing both Dragon Quest Heroes and Dragon Quest Heroes II to Nintendo Switch, the company revealed today. Both Koei Tecmo-developed games are scheduled to hit the new hardware when it launches in Japan on March 3. Dragon Quest X and Dragon Quest XI are also currently in development for Nintendo Switch. 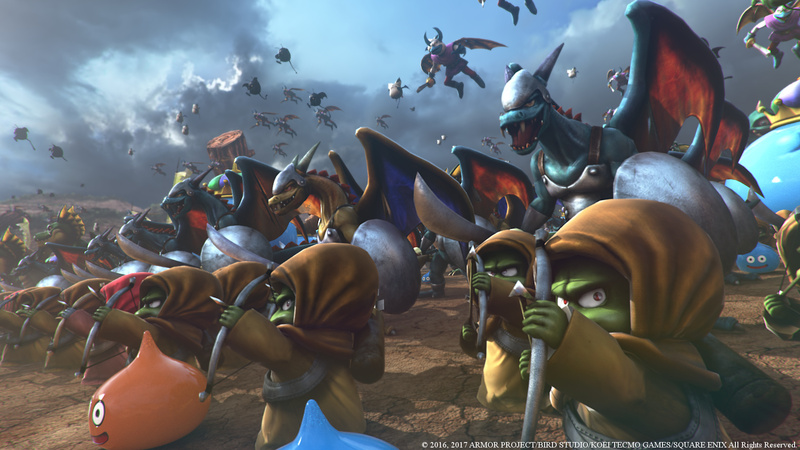 Dragon Quest Heroes saw its release on PlayStation 4 and PC last year. Dragon Quest Heroes II is set to launch in North America on PS4 on April 25 in North America and April 28 in Europe. Posted in Dragon Quest Heroes, Dragon Quest Heroes II. Looks like this version will have exclusive characters as well. I saw Ragnar McRyan in the sizzle reel video. And Malroth with the heroes from both the games teaming up against him.